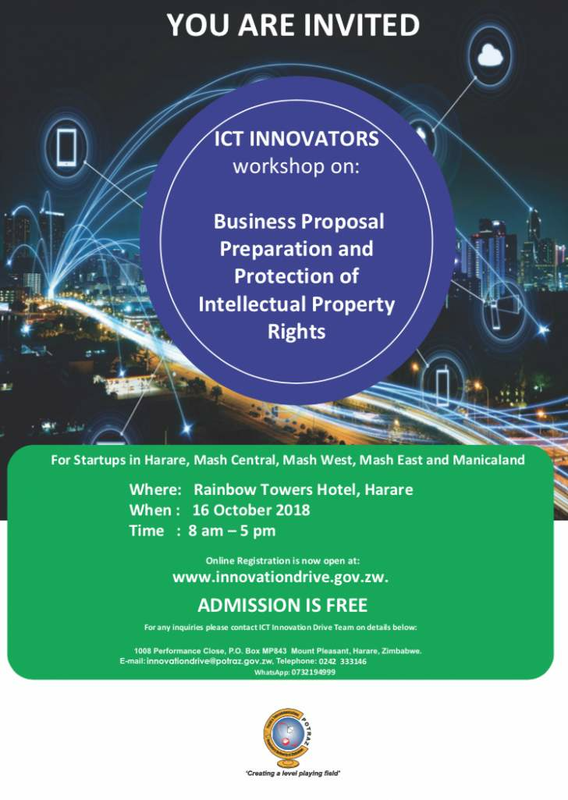 Postal and Telecommunications Regulatory Authority of Zimbabwe (POTRAZ) is calling for ICT Innovators to attend its innovation Drive workshops to be taking place this week and next week in Bulawayo and Harare, Zim Techreview reported. 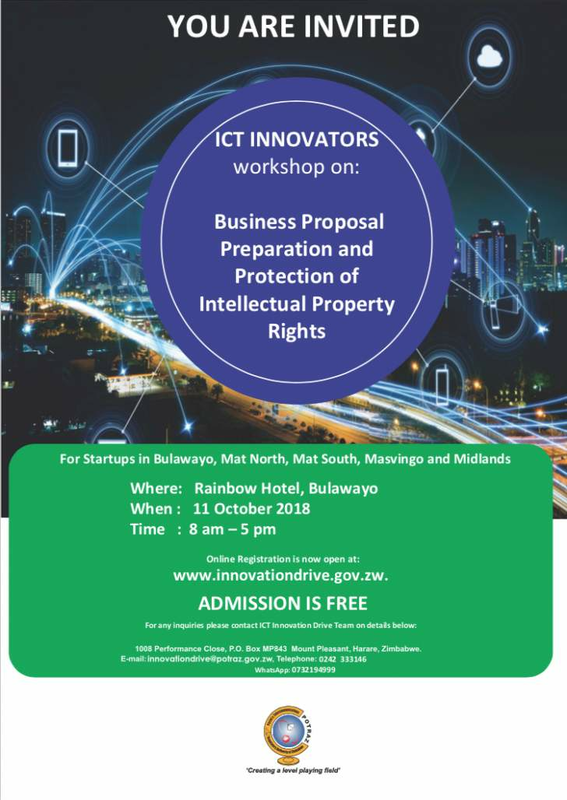 The ICT Innovators workshop is aimed at identifying, supporting and capacitating ICT innovators in order to develop their ideas into bankable solutions for Zimbabwe and the global market and to increase ICT research and development as well as ICT uptake by innovators in Zimbabwe. 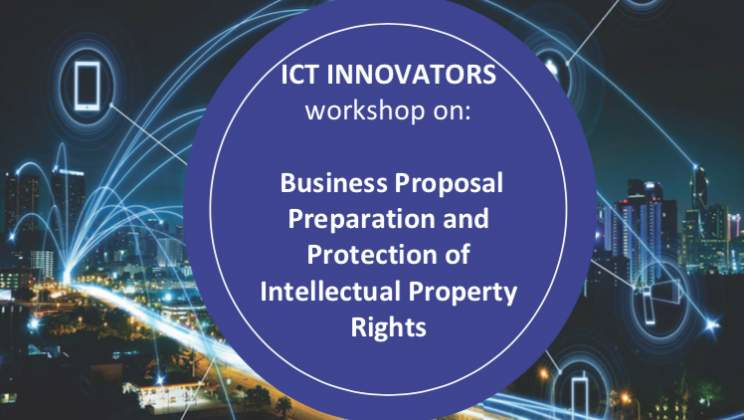 The workshop will look into business proposal preparation and Protection of Intellectual Property Rights. Startups in Bulawayo, Mat North, Mat South, Masvingo and Midlands to attend a workshop to be held on the 11th of October 2018.